Worship Theory is now available on the Kindle from Amazon. That means you can read Worship Theory on your iPhone or iPad, your PC or Mac, and other smartphones like your Android and Blackberry. Besides the portability of reading on your Kindle or Kindle app, you save money. 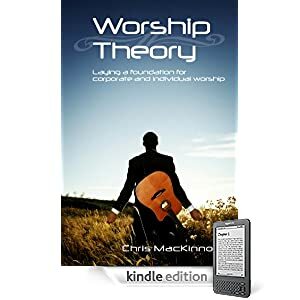 Worship Theory‘s Kindle Edition sells for just $4.99 USD. Want to know what you’re getting into? You can see a preview of Worship Theory thanks to Amazon’s Kindle for the Web. The preview is available here, at the Worship Theory page on Amazon. At your right is a green box, with the button “Read first chapter FREE.” Click that button, and enjoy! If you don’t already have the Kindle app that best meets your needs, just go to Amazon’s Kindle Store.